Mike Gotta (@Mikegotta) is a Research Vice President for collaboration and social software at Gartner. He has more than 30 years of experience in the IT industry, with 14 of those years spent as an industry analyst advising business and IT strategists on topics related to collaboration, teaming, community-building, and social networking. He has expanded his research to include quantified self trends as well as the business use and organizational value of ethnography. He is currently pursuing a master’s degree in Media Studies at The New School in New York City. At EPIC 2103, Mike Gotta (@Mikegotta) gave a workshop, Mobile Apps & Sensors: Emerging Opportunities For Ethnographic Research, that examined mobile apps developed for ethnographic research uses. I asked Mike to contribute to the January EPIC theme at Ethnography Matters because his research is always spotlighting some of the most fascinating trends in the tech industry. In this article, Mike provides a wonderful overview of his workshop, but even more interesting is his discussion of all the different ways the dialogue veered away from the original topic of the workshop. Essentially, things didn’t go as Mike had planned. The new direction, however, offered Mike a lot of insights into the future of mobile apps, which led him to reflect on personalized sensors as part of Quantified Self trends and the increasing importance of APIs in future research tools. If you’re a qualitative researcher who wants to know how to make use of the latest mobile apps, this is a must-read article. The second half of Mike’s article can be read on Gartner’s blog. Mike is currently at Gartner, Inc. (NYSE: IT), which describes itself as the world’s leading information technology research and advisory company. Mike is a familiar face at Ethnography Matters; during his time at Cisco Systems, Mike contributed to Ethnography Matters a piece that has become one of the most often-cited pieces of research on the role of ethnography in Enterprise Social Networks (ESN). For more posts from this January EPIC edition curated by contributing editor Tricia Wang, follow this link. You might wonder – what’s a technology industry analyst doing at EPIC and why deliver a workshop on mobile apps and sensors? The world of the IT industry analyst is becoming much more inter-disciplinary as societal, cultural, economic, media, demographic, and technology trends become more intertwined. These trends, perhaps, were always entangled in some fashion and we are only now becoming more interested in how the patterns of everyday life are mediated by various technologies. There was a time when industry analysts could cover technology trends and their business relevance as long as they had an IT background. That might still be true in some cases – maybe – but in my opinion, being well-versed in social sciences is becoming a baseline competency for those in my profession. 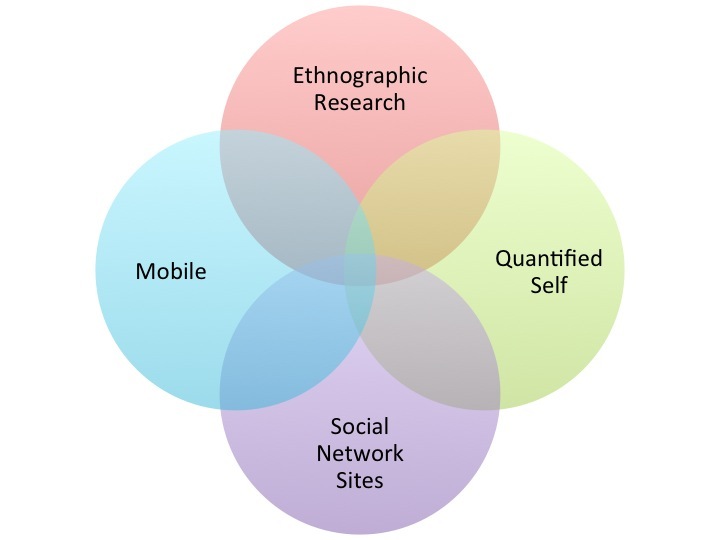 Can Ethnography Save Enterprise Social Networking? Editor’s note: Enterprise software systems. Sounds a bit boring and inhuman. But they’re not! This month, Mike Gotta from Cisco Systems, makes the case for bringing the human back into enterprise software design and development, starting out with enterprise social networking (ESN). ESN is like Facebook, but just for people who work within a company. But why are businesses investing in ESN when white collar workers are already using Facebook, Google+, or Twitter? Because existing social networks don’t fulfill enterprise needs for security, compliance, and integration with existing systems. Employees don’t just time-in and time-out, they socialize. And companies want to make the most out of their employees’ social networks whether it’s making it easier for workers to find like-minded colleagues or identifying potential leaders or even locating expertise. Because here’s the thing that most companies really get – people do better work when they feel they have the social support to accomplish their task. Small companies might turn to an out-of-box ESN like Salesforce (Chatter), while larger companies buy an ESN platform and then customize it to fit their needs. But one of the biggest problems with ESN’s right now is that developers and trainers don’t account for culture. Often times ESNs are implemented with little understanding of the company’s social and tech context. For example, companies try to incentivize employees to fill out social profiles, or blog, or join communities, but often employees don’t understand why, or what’s in it for them to change their behavior to collaborate in such a public way. The result – slow adoption of the ESN. Can better design practices solve the problem? How can ethnographers help fill the context and cultural gap? One company that has been active in the ESN space from the user’s perspective is Cisco. Recently, Cisco’s collaboration blog featured an essay by Mike Gotta, Design Considerations For Enterprise Social Networks. We asked Mike to guest blog and he wrote a new introduction for Ethnography Matter readers, explaining why ethnographers are needed for ESN development. Mike is currently a senior technology solution manager at Cisco focusing on social software. 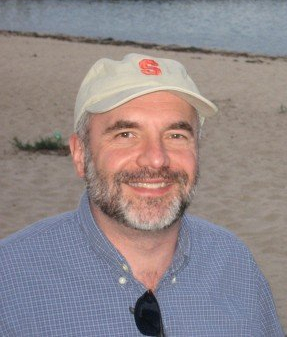 Like a true social scientist, Mike says that he’s “fascinated by the non-technological issues related to identity, media literacy, and participatory cultures and their influence on how people learn, share, and collaborate.” You can follow him on twitter, @MikeGotta. Mike is also looking for an ethnographer who has experience in social networking and enterprise software design to sit on an upcoming panel in November at the E2.0 conference in San Francisco. Get in touch with him if you know of someone or if you are the right person! Check out past guest bloggers. Ethnography Matters is always lining up guest contributors, we would love to feature your work! Send us an email! First, I’d like to thank Tricia for reaching out and asking me to provide a guest post. Coincidentally, I have been reading Ethnography Matters for a few months now and have become a fan of its content and contributors so I’m happy to participate.